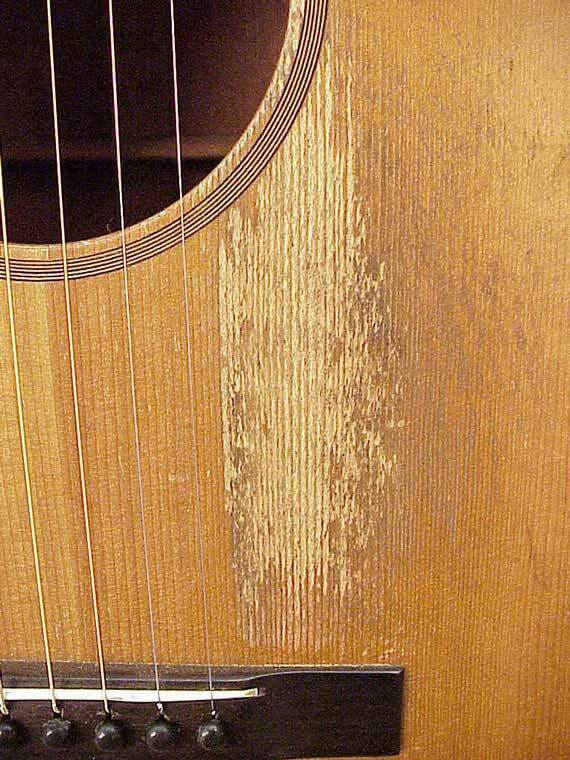 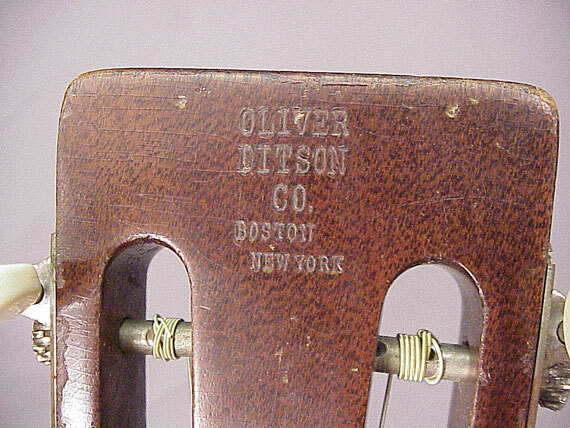 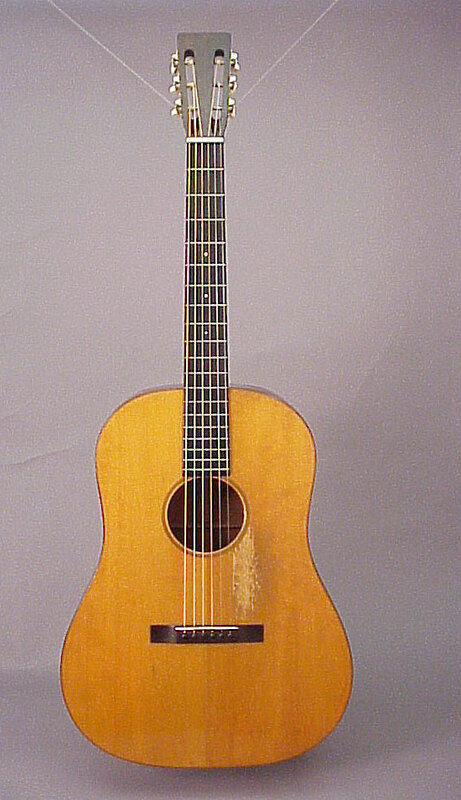 Most Martin aficionados are well aware that Martin made their first Dreadnought guitars for the Oliver Ditson Company, a big New York music distributor, starting at the close of World War I. 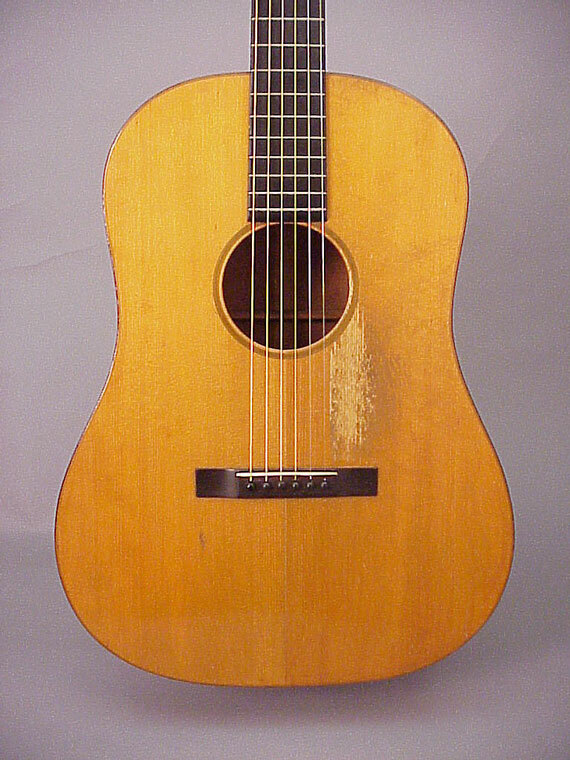 Unfortunately, most Martin aficionados have never actually seen one of these seminal instruments because they are so impossibly rare. 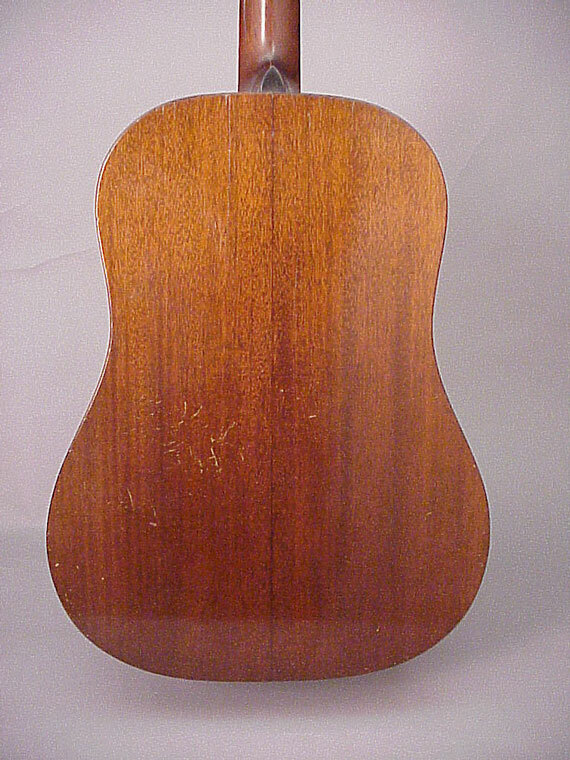 Simple to the point of austerity, this basic mahogany Dreadnought has the typical early 12-fret body shape, and is marked only with the Ditson brand. 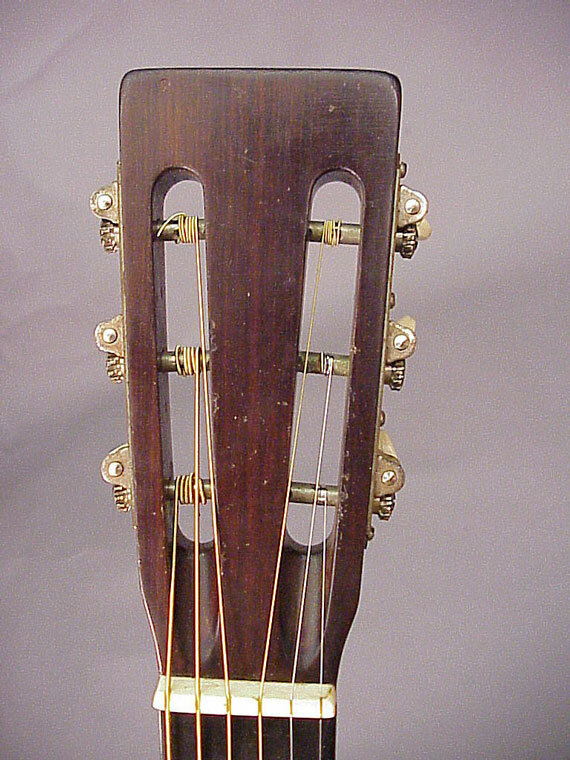 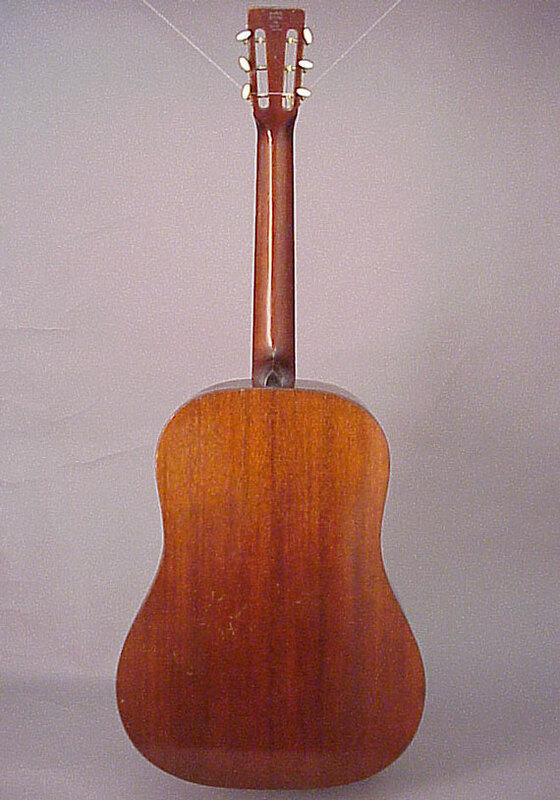 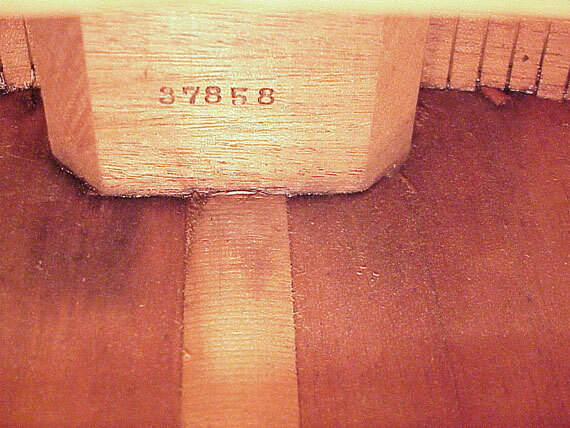 Early Ditson Dreadnoughts had the fan bracing more typical of smaller gut strung instruments. 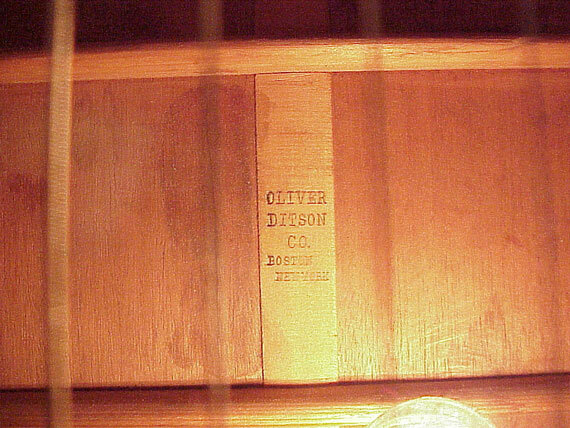 This one was made in 1929, making it just about the last of its breed. 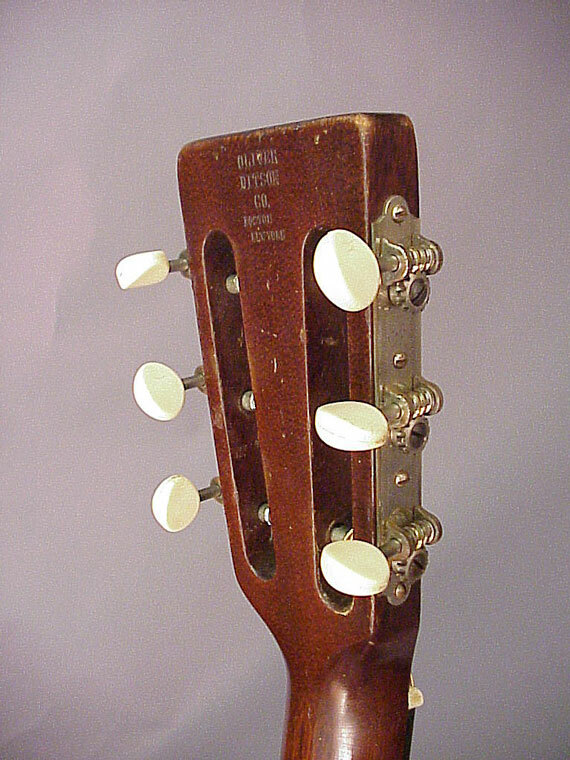 It has the X-bracing more suited to the tension of steel strings.